Carroll / Fletcher supports established and emerging artists whose work transcends traditional categorisation, using diverse media in order to explore socio-political or technological themes. From rising talents such as Constant Dullaart, Mishka Henner, and Basel Abbas and Ruanne Abou-Rahme, to interactive installation artist Rafael Lozano-Hemmer and the computer art pioneer Manfred Mohr, the gallery represents an international range of artists who use interdisciplinary research and broad means to produce work that reflects on and provides insight into contemporary culture. 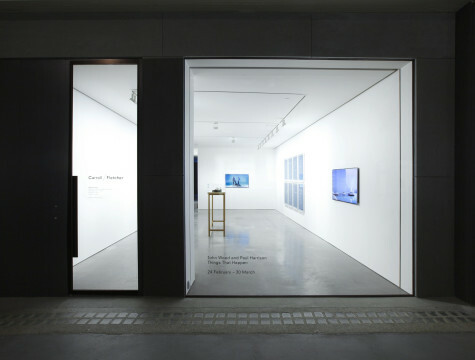 Established in 2012 by Jonathon Carroll and Steve Fletcher, the gallery has quickly emerged as a leading platform for contemporary art with an emphasis on multimedia and new technologies. The gallery presents solo shows by represented artists as well as providing a test bed for younger practitioners and artists not previously exhibited in the UK. To date, the gallery has hosted several group shows with invited curators, as well as talks, film screenings and live performances. As part of our digital presence, Carroll / Fletcher Onscreen is an online cinema showing dynamic curated weekly screenings of experimental and artists' film, scheduled to complement the gallery's programme.